Is a salad with a dressing still healthy? I want to lost weight, but I don't like salads without dressing. What are the healthier dressing options? Jesus: I know what you mean! Salads can feel a little unpalatable at first without the standard dressings, but there are some really healthy and delicious alternatives to the usual toppings. First, it is good to know that adding nuts and seeds to a salad helps to absorb carotenoids. (antioxidants) So, having dressings based on nuts and seeds can be a great way to help to enjoy the flavor of the salad, and to help your body utilize all of the elements of the fruits or vegetables in the dish. Here is what I do: I sometimes make my dressings at home in the blender (Vitamix in my case) and whip up some nuts or seeds and a few other elements for really tasty toppings for the salad. Here are a couple of my favorites: https://healthyfoodnow.com/recipes/pistachio-mustard-dressing https://healthyfoodnow.com/recipes/roasted-garlic-vinaigrette If I don't make up a dressing, I sprinkle my nuts and seeds over the salad, and use flavored or Balsamic vinegar to add a great taste to the salad. Another way to go. Both are simple and fast ways to eat more veggies and enjoy the taste. 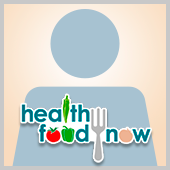 There are lots of delicious and healthy dressings here on the HFN website. Try a few, and let us know what you think! Post reply to Is a salad with a dressing still healthy?